Can My Ex-Spouse Still Inherit from My Estate If I Never Changed My Will? Estate planning is often an overlooked detail when a couple divorces. In many (if not most) cases, a person does not want to keep their ex-spouse as the beneficiary or personal representative under their will. This is why an experienced Florida estate planning lawyer will always advise a client to update a will after, or even prior to, the entry of a final divorce decree. However, Florida law does provide something of a backstop. Under Section 732.507 of the Florida Statutes, when a will is “executed by a married person,” any provisions that “affects the spouse” becomes automatically “void upon the divorce of that person or upon the dissolution or annulment of the marriage.” In other words, once you get a divorce your will remains valid, but your ex-spouse is legally presumed to have predeceased you for purposes of inheritance or appointment. But what if you signed your will before you got married? Does a subsequent marriage-and-divorce affect the rights of the ex-spouse in the same way? The Florida Second District Court of Appeal recently addressed these questions in a case, Gordon v. Fishman, involving a dispute between the father and ex-wife of a deceased Florida resident. The decedent signed his last will and testament in 2005, approximately two years before he married his then-fiancee, in which he left her certain property. The will further provided that if the fiancee died before him, the property would then go to her two children from a prior relationship. The couple married but then divorced in 2013. The decedent passed away two years later. As he was unmarried and had no children of his own, his next-of-kin was his father, who was under a guardianship. 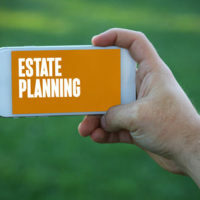 It was the guardian who filed a petition to probate the decedent’s estate, alleging the 2005 will had been “destroyed or revoked” pursuant to a premarital agreement with the ex-wife. The ex-wife contested this and presented the will for probate. The court admitted the will but named the father’s guardian as personal representative. The personal representative then moved to disqualify the ex-wife under Section 732.507, meaning she legally “predeceased” the decedent and the property left to her would then go to her children. The trial court sided with the personal representative and declared the ex-wife’s children as the lawful beneficiaries of the estate. But the Second District reversed. It held the probate court misconstrued the law. The “plain language” of Section 732.507 only applies to wills made during a marriage, not before it, the appeals court concluded. In particular, the court rejected the idea that the law covered a will executed “in contemplation of marriage.” Not only is there no such language in the statute, but it would not cover cases like this one, where the will was made over a year before the parties actually married. Need Help Revising a Florida Will? One lesson from this case is that even if you divorce on good terms and want to keep your ex-spouse as a beneficiary of your estate, it is still a good idea to make a new will clarifying your intentions. A qualified Fort Myers estate planning attorney can assist you in reviewing your current will and advising you on any appropriate changes. Call the Kuhn Law Firm, P.A., at 239-333-4529, or contact us online today to schedule a free confidential consultation with a member of our legal team.